One main thought behind the circular economy is not to produce any new waste, but to utilize resources that are either biodegradable or flow in endless production circles. So one of the most important success factors of the circular economy is the consumer because it is in the consumer's power to return a product and to make it available for a new production. However, to achieve a sustainable circular product it is essential to be aware of the intention of reaching a more sustainable planet with the circular economy. The timing of the return is one of the most important factors: A circular product should not be returned, when you don’t like it anymore and you feel like buying a new consumer product. It is about using the products as long as they last and just return them when they reached the end of their lifespan. At this point, the circular thought steps in and extends the life of the resources. This way, no new trash is produced as a burden for our planet. Yoga mats are usually a quite long enduring product. How do I return my circular yoga mat? When it comes to our circular yoga mat, we try to make the return as easy as possible for you and to support you as much as we can. That is why, returning your circular hejhej-mat to us, also comes with benefits for you. 1. First of all, you do not have to pay for the shipping back to us. We will cover that and send you a shipping label free of charge. 2. You get a 15% discount on the next purchase in our sustainable online shop. 3. You can be proud of yourself. 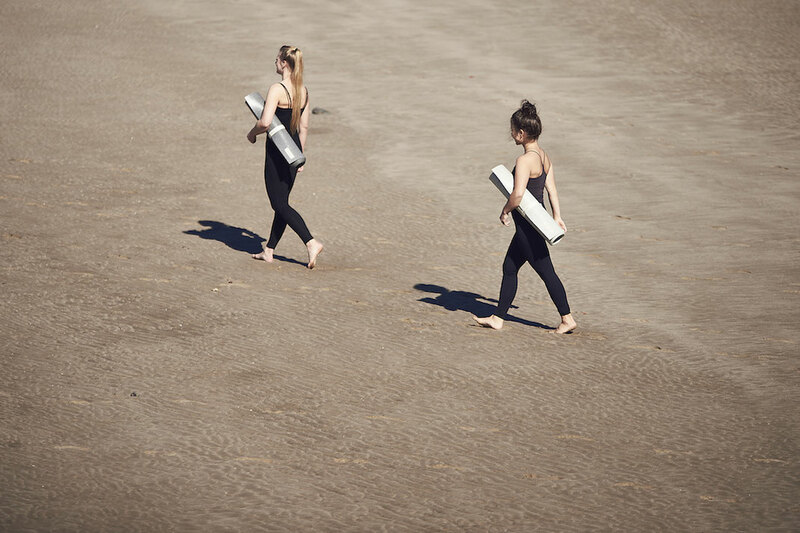 With returning the circular yoga mat you relieved the planet from a little plastic waste and supported us and the planet in achieving a more sustainable future. From that point on, we take the responsibility and make sure that no hejhej-mat will end up as waste in our beautiful nature or on landfills. 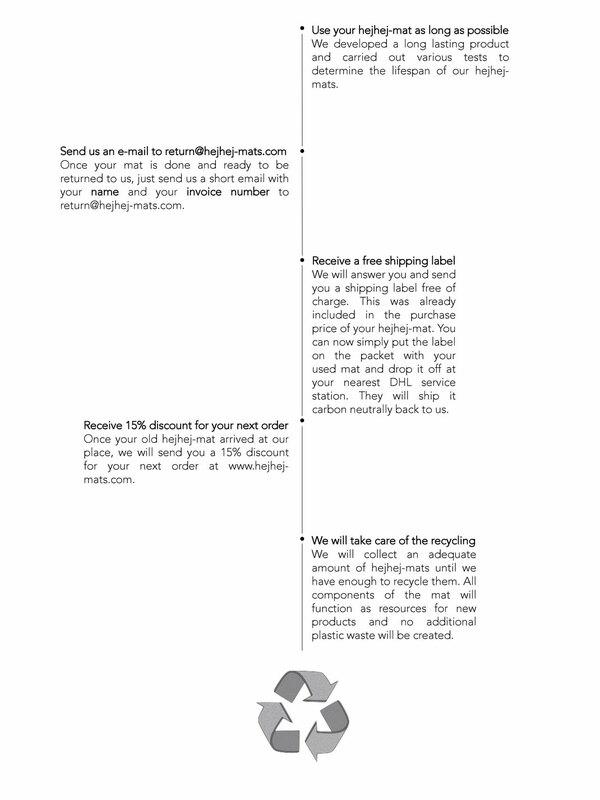 We will collect all used hejhej-mats which get send back to us until we have a suitable amount that we can recycle. So this is why we are trusting in your support. We are taking the responsibility for a product we introduced to the market when it comes to the responsible disposal of it. However, to do so we need a little action from your side. We are really confident to work with you together towards our common goal: achieving a more sustainable planet with less waste.